The room is pretty small! The last time I shared my studio I didn't have the little IKEA plan chest in the shot above - this is a pretty useful size as it comfortably takes A3 sheets (I mostly work on A3 as it doesn't take up too much space and is small enough to scan), I also worked from a computer in another room. But now I have my laptop I can work in here (almost) all the time! My storage isn't particularly pretty (the white unit has been in here for years, the brown one on top was in the little man's room before his refurb) but there's quite a lot of it now and it does the job. One of the reasons for the clutter is that I like to have colourful, inspiring things around me all the time - the combination of that and a small room is asking for trouble! I still dream of that larger studio at the end of the garden one day, but it won't be happening in the near future! 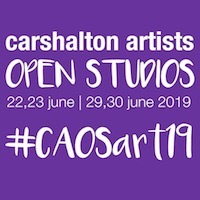 I will be attepting to create a miniature pop-up version of my studio at 133a Stanley Park Road as part of Carshalton Artists Open Studios on 24/25 June and 1/2 July. 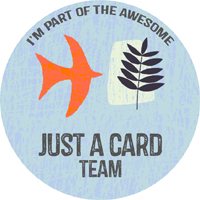 Find out all about the open studios and the artists involved here. You can catch up on my previous studio tour posts below.